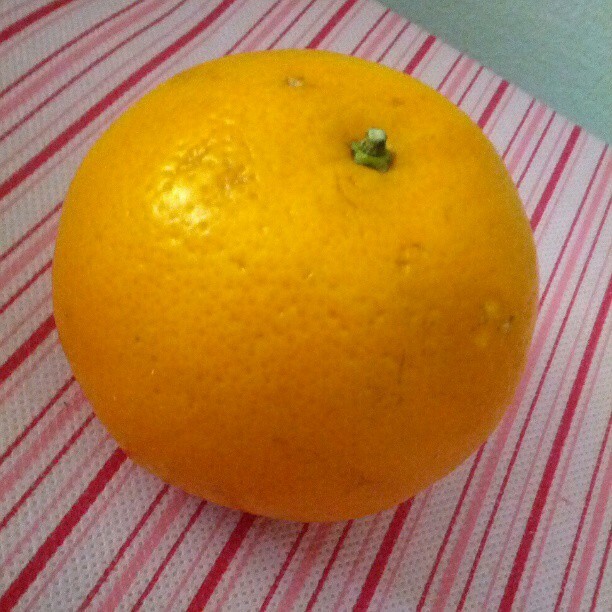 Simple Real Mom: My current diet . My new diet is a combination between 2 programs : The Low GI Diet and a diet by Dr Jameel ALqudsi that consists of eating 5 meals a day , one with every prayer . 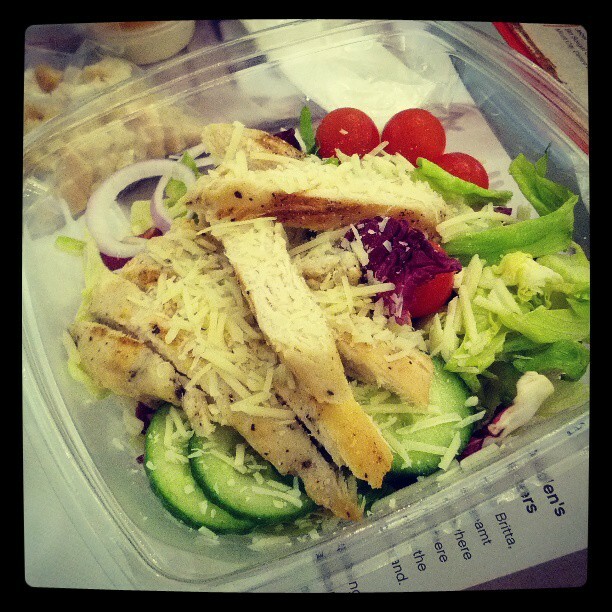 To keep track of what i eat , i post pics of every meal on my Instagram account . 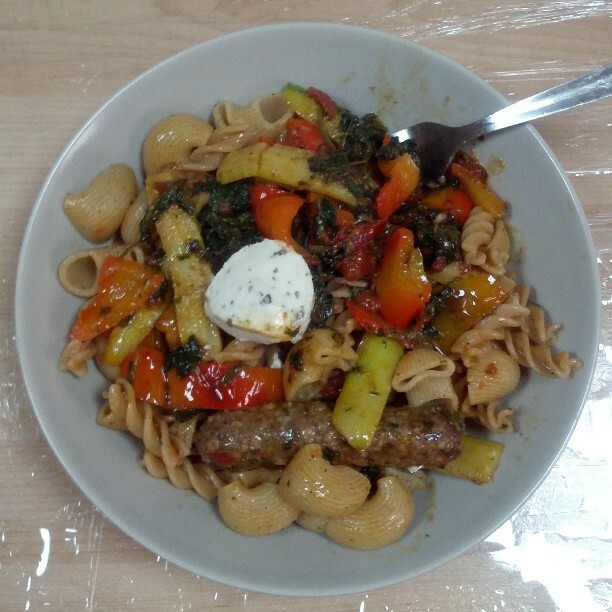 Lunch : wholewheat pasta with zucchini, red bell pepper, tomato chunks and spinach + 1 stick of kebab+1tsp low fat white cheese with herbs. Pretty heavy but it's the most important meal for me. Late night snack. 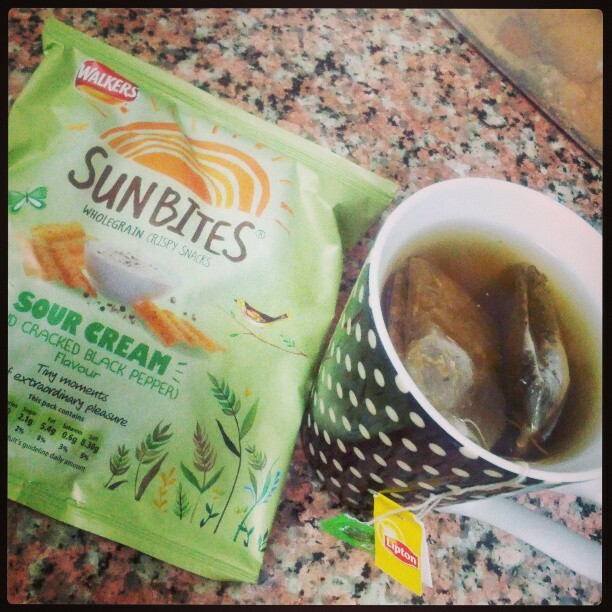 Walkers sunbites and green tea with jasmine petals+camomile. 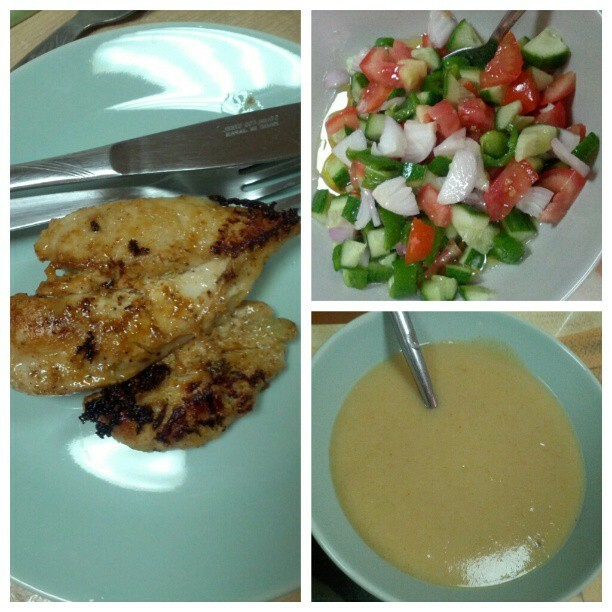 Launch : lentils soup, Arabic salad, and half a chicken Breast. 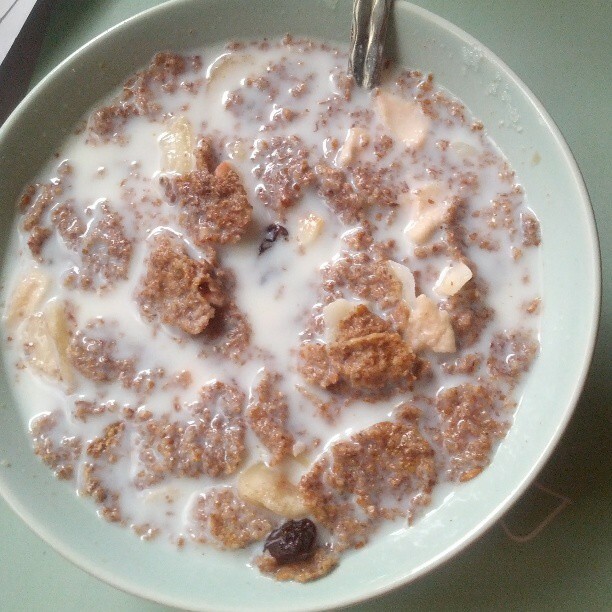 Breakfast : waitrose Wholegrain wheat flakes with added bran, raisins, coconut, banana, apple and hazelnuts with low fat milk.